It feels as though it is over a hundred degrees, everyone packed in shoulder to shoulder, swaying in unison as they pour out their hearts in song. This night was particularly hot, but hot or not, the singing can be heard all the way across the ball fields every Friday night. Jewish children from backgrounds that span the spectrum of Jewish life and practice come together at Camp Yavneh and share this and many more common communal experiences that stay with them forever. 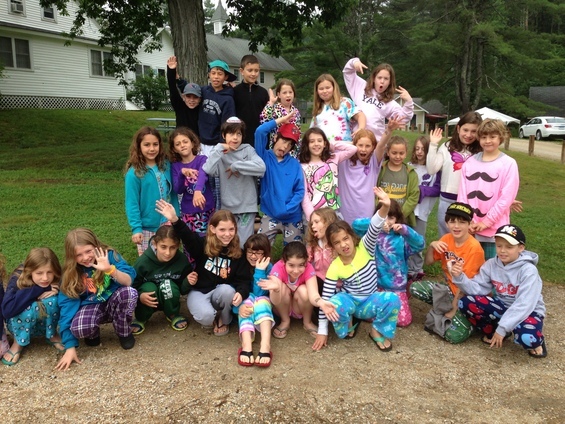 Klal Yisrael (pluralism) at Camp Yavneh is about opening safe space and time for children from diverse backgrounds to be able to learn from each other and explore the various and often divergent opinions and practices related to Judaism and Israel. A conscious engagement in creating an atmosphere of Klal Yisrael is what makes this possible. We are intentional about our focus on community and communal experiences. We learn how to compromise and listen to one another. We do not avoid the difficult conversations but instead address them head-on. We experience each other through song, art, dance, competition and ritual. And in the end, we learn to respect each other and make friends that last a lifetime, friends who have expanded our perspective on the world and have helped us grow into the people we are to become.